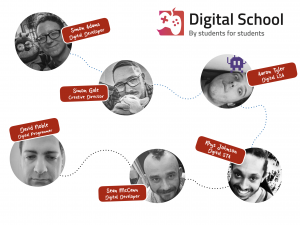 The Digital School is led by Creative Director, Simon Gale, who describes the team as “bound together by our passion for all things digital and our desire to create opportunities for all our students whilst they are with us and when they leave us”. Simon Gale, Creative Director – founding member and the driving force behind the Digital School, Simon has worked for Orchard Hill College & Academy Trust for over 15 years and is driven by a passion for digital inclusion and accessibility. He enjoys engaging with and developing ideas and innovations with pupils and students. Simon Adams, Digital Developer – founding member of the Digital School Team and a familiar voice on our weekly student podcasts, Simon has a background in curriculum and edits our digital magazine with students across our College and Academy sites. Sean McCann, Digital Developer – founding member of the Digital School with many years of teaching experience, Sean is enthusiastic about bringing new technologies into the classroom and is passionate about computing and virtual reality being accessible to all students and pupils. David Noble, Programmer – founding member of the Digital School with over 10 years of ICT experience, David is an expert programmer and collaborates with our students to create resources that enable them to learn and achieve through the use of digital media. 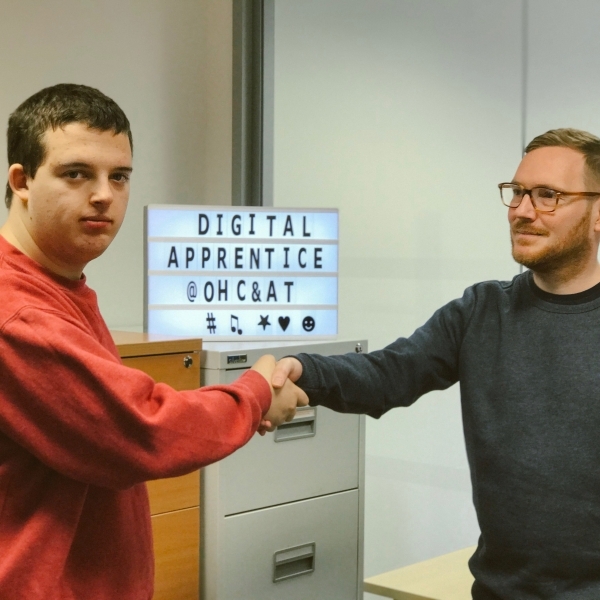 Aaron Tyler – Home-grown Apprentice – Aaron joined Orchard Hill College in 2015 and after successfully completing his Traineeship course, he progressed onto a Digital Learning Apprenticeship. 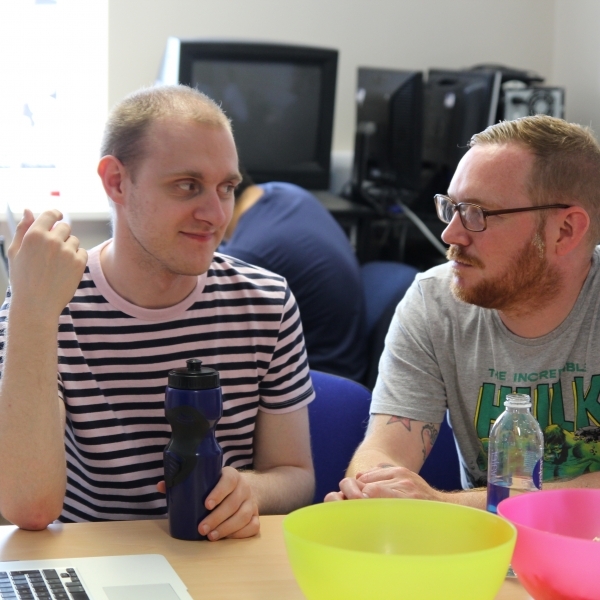 Aaron’s goal was to gain IT skills and achieve paid employment; since joining the Digital School team he has achieved both and can now build web pages and has learnt how to code. Aaron is now a fulltime employee. 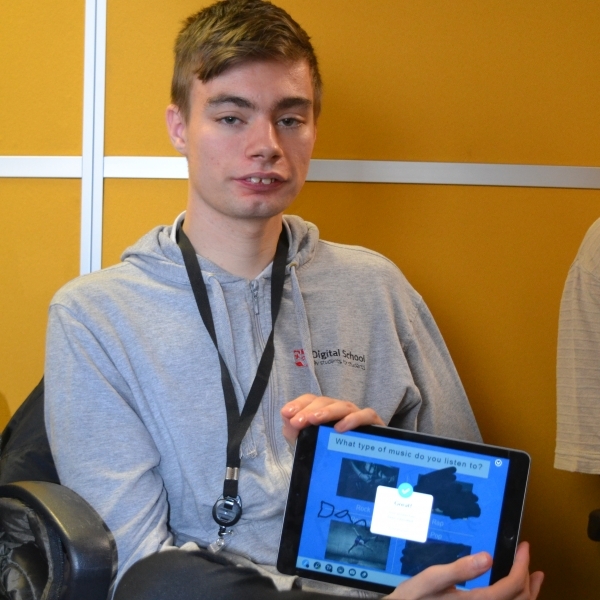 Hello, I am Josh, I am a student at Orchard Hill College and a Digital Ambassador, which is really good as I get to work with the Digital School two days a week. At the moment I am learning to use an IPad for my DJing, it is like having digital decks. 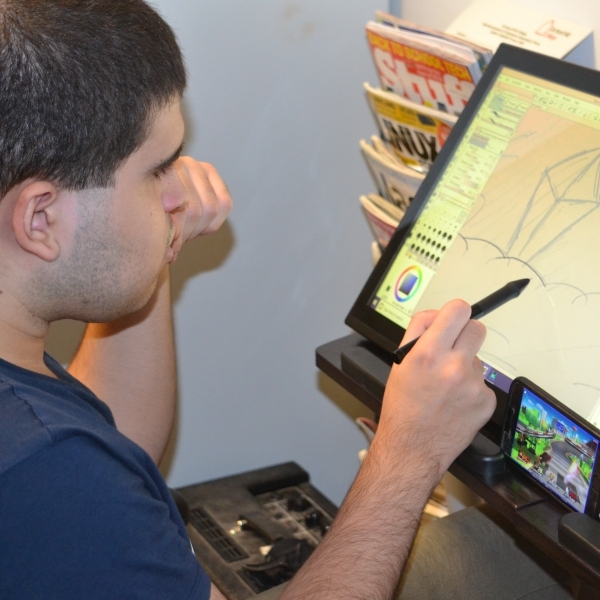 I use my new skills events and Digi Cafe every Wednesday. I’m Jack, I am Digital Ambassador, I am seriously into computer games, so I review the latest games for our Digital Student Magazine. I also really like getting involved with our community podcast. I’m Alex. I am really into illustrating characters from the digital world. I sketch them and then creative digital versions that can be used online. Being a Digital Ambassador means I can turn my hobby into an employable skill. Hi. I am Abigail, I am a Digital Ambassador. 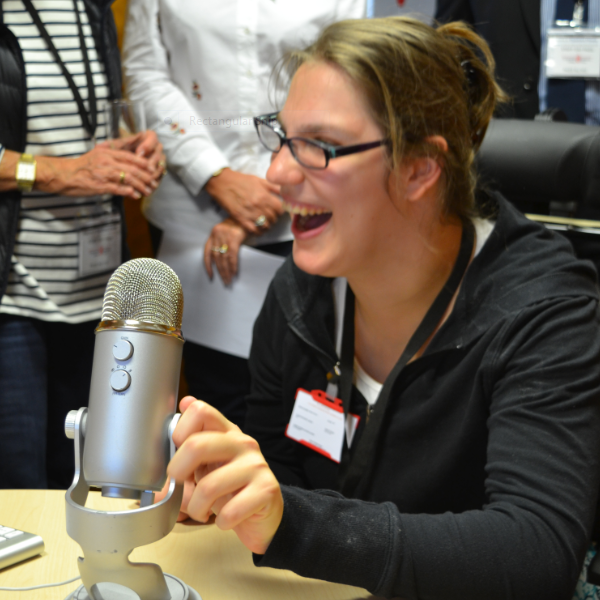 I love being part of the Digital School, this is me broadcasting live from Pod Radio, our community Podcast. Hi, I am Aaron, I started as an Apprentice with the Digital School and now I work with them full-time. I have learnt to code and design digital products to help students and members of my local community. I enjoy being a Digital Ambassador as I want everyone to enjoy technology.